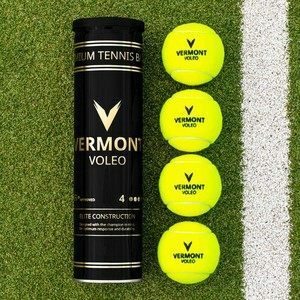 With these Vermont Mini Green (Stage 1) Tennis Balls in your set-up, the transition from mini tennis to regular tennis will be a smooth one. 75% compressed, they’re slightly softer & slower than a regular ball. 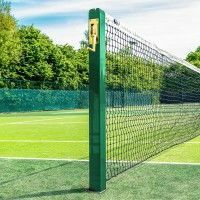 There’s no denying the quality of these mini tennis balls as they’ve been officially approved by the International Tennis Federation (ITF). 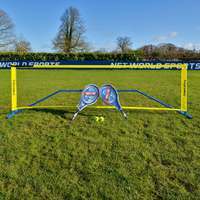 An excellent choice for high-level training or competitive matches. 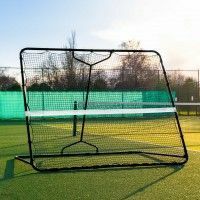 The tennis balls pressureless core combined with their ultra-high-visibility felt exterior delivers exceptional durability. These mini green tennis balls can maintain a high-performance on any court surface. 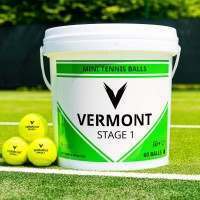 Our Vermont Mini Green Tennis Balls (Stage 1) are an excellent choice for youngsters making the transition to regular tennis. 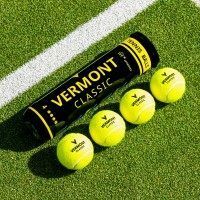 Compressed at 75%, these tennis balls are designed to make the progression from mini to full-size tennis a smooth and efficient one. 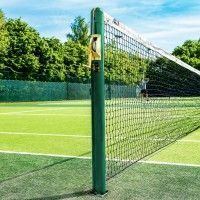 Slightly softer and slower than a regular tennis ball, these stage 1 mini tennis balls are designed to replicate regular tennis balls when it comes to size and appearance. 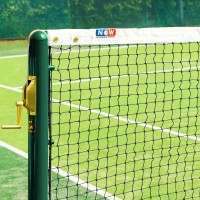 Officially approved by the International Tennis Federation (ITF), they’re the perfect fit for high-level training or competitive matches. 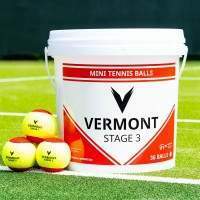 An elite performer on any tennis court surface, these stage 1 mini tennis balls offer outstanding durability. 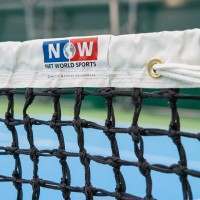 Their pressureless core allows the short tennis balls to maintain their high-performance levels for much longer than a regular tennis ball. 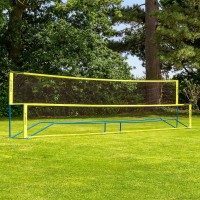 Completing the impressive ball is the ultra-high-vis felt exterior. 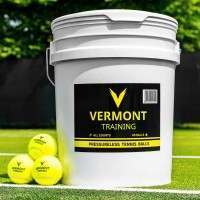 Specifically designed to match a regular tennis ball when it comes to appearance, these Vermont Mini Green Tennis Balls are an excellent choice for tennis coaches looking to help their youngsters complete the mini tennis stages in style. PLEASE NOTE: The Vermont Mini Green (Stage 1) Tennis Balls come in a 60-ball capacity bucket. 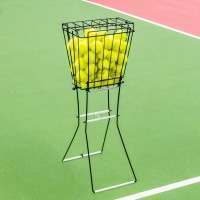 Created using heavy-duty plastic, the bucket features a handle & lid for simple storage & portability.